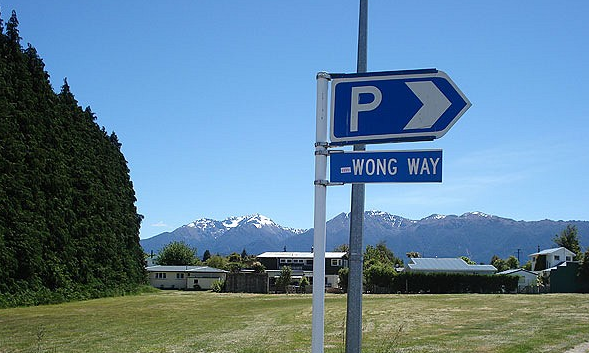 You humans confuse me sometimes, take this sign for instance why put a sign up to tell people to go this way if it is the wong way. Instead why not put a sign up to show the right way. That would be really less confusing wouldn’t it? Speaking of pronunciation I thought you might like this little jokette of mine which is now doing the rounds in pubs, clubs and the internet. An Englishman, a Russian, and a Chinese chap all got jobs on a building site. 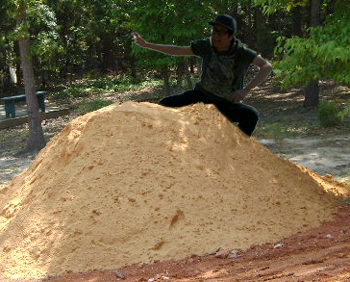 Later when the foreman returned, the pile of sand was looking pretty neat and tidy, the Englishman had swept the site clean and the Russian had shovelled the sand back into the pile. The foreman was very pleased and told them that they had done well and worked very hard. Then he looked around for the Chinese guy and when he couldn’t see him he asked his two good workers if they knew where he was, the shook their heads.